As one of the most popular species of flooring, our Diamond Series Engineered Walnut Lacquered floor will not disappoint! At 20mm thick with a 4mm Solid Walnut Veneer this floor has a slight sheen to it, and should you wish to change its' appearance, you can sand it down and retreat it if you wish. It's 190mm wide so if you have a nice open environment this floor will look exquisite in it, and will maximise the aesthetic impact of the room. While this is a slightly darker floor, the lacquer gives it enough of a sheen to help bounce light around the room, which will really help when planning your colour scheme. We would recommend that a more modern minimalist look would sit great with this floor - declutter and buy plain furniture and fixings: long white vases, spot lights and understated monochrome tables and chairs will look uber chic on top of this Walnut floor. This floor is suitable for underfloor heating, and has a tongue and groove profile installation system. It's always best to consult a fitter before buying a floor to ensure that the coniditons in your home are suitable for the floor you want. 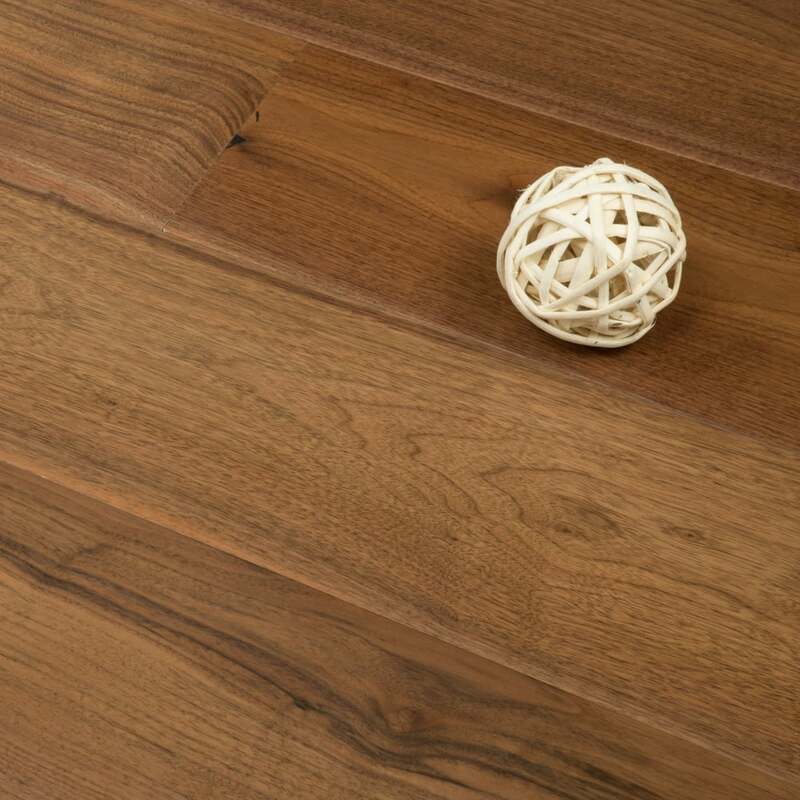 One of the best selling points of a Walnut Floor like this is the investment value, in that it will add value to your home and will last years if maintained correctly. The only way to truly appreciate the natural beauty of this is to order your FREE sample today!